Good evening everyone! I hope you are all having a wonderful weekend. It is super rainy here today but rain means flowers so I can accept the downpour. One of my favorite flowers is marigolds and today’s blend reminds me of just that, pretty flowers on a gorgeous sunny day. 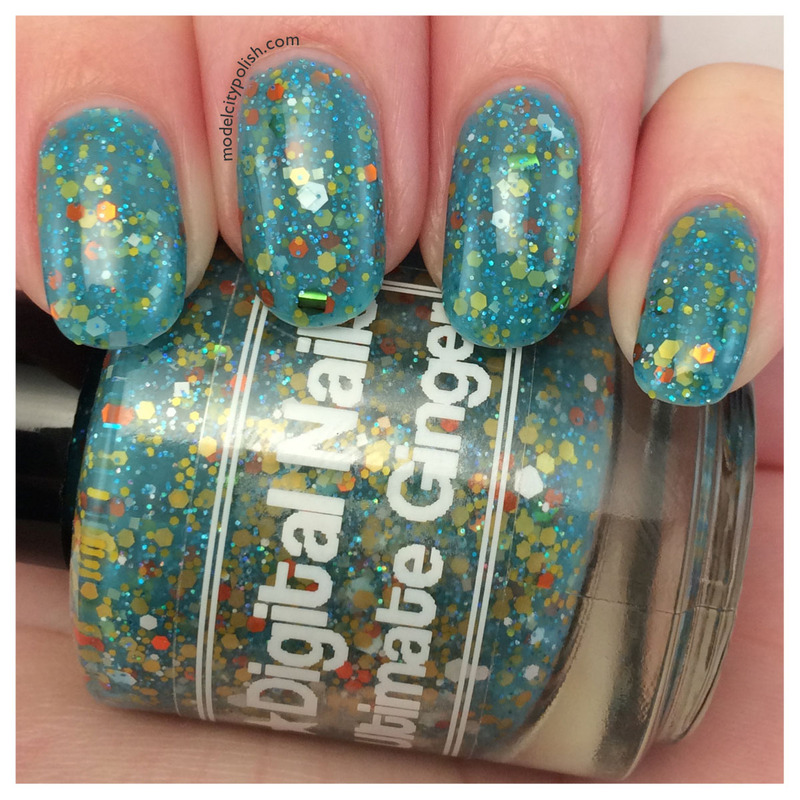 Ultimate Ginger by Digital Nails is a beautiful teal jelly base filled with tiny teal holographic glitter and orange, green, white, and yellow glitters in various sizes, shapes, and finishes. 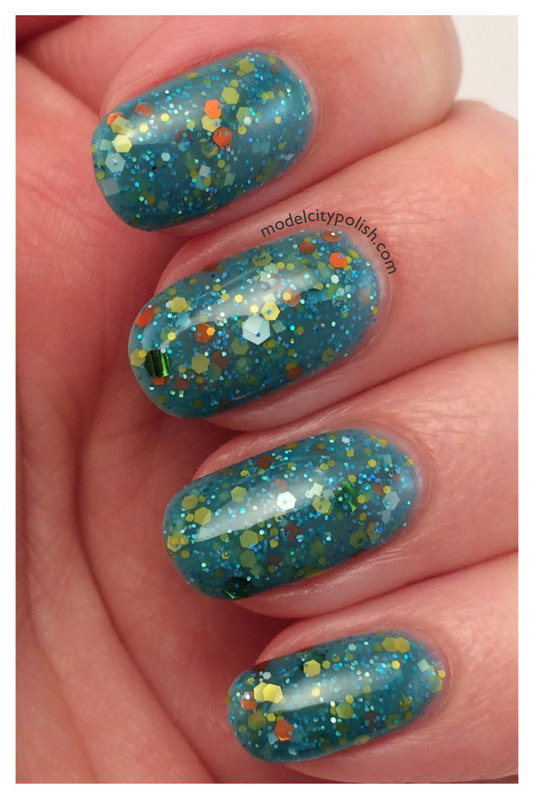 I just adore this blend! 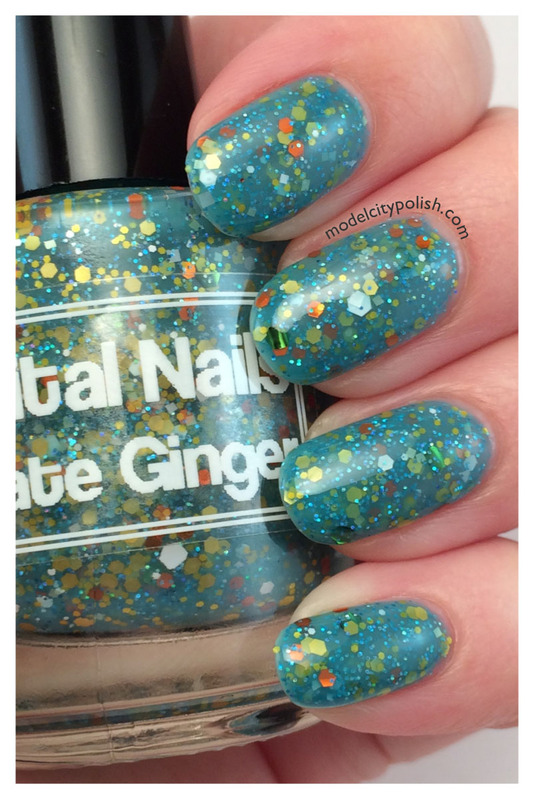 In my photos I am wearing just two coats of Ultimate Ginger and then sealed with a coat of Gelous and a coat HK Girl Fast Dry Top Coat. 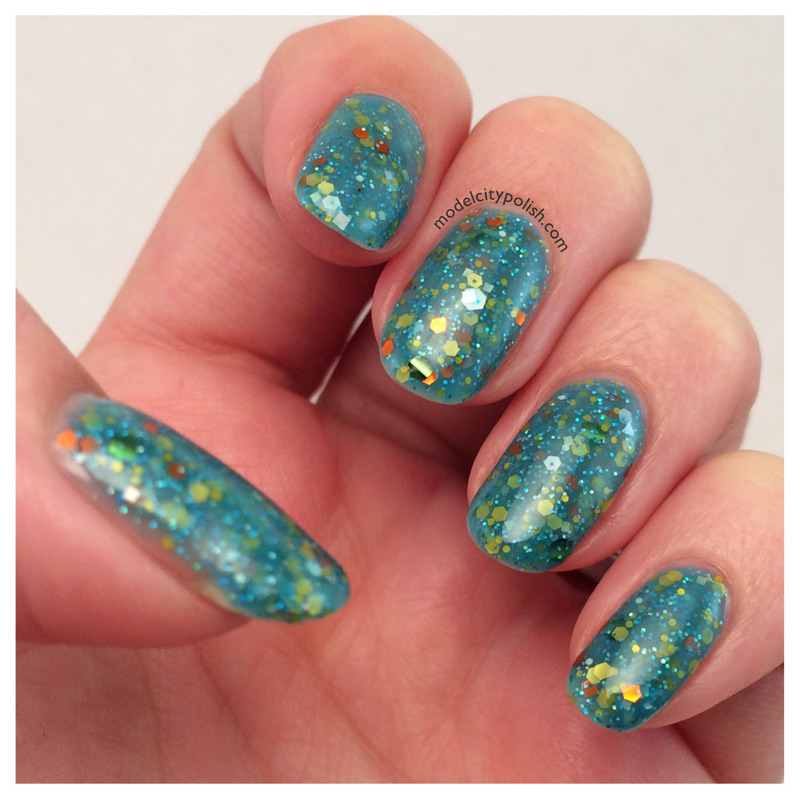 So what do you guys think of this teal beauty? I love it and can’t decide what to add to my collection next! 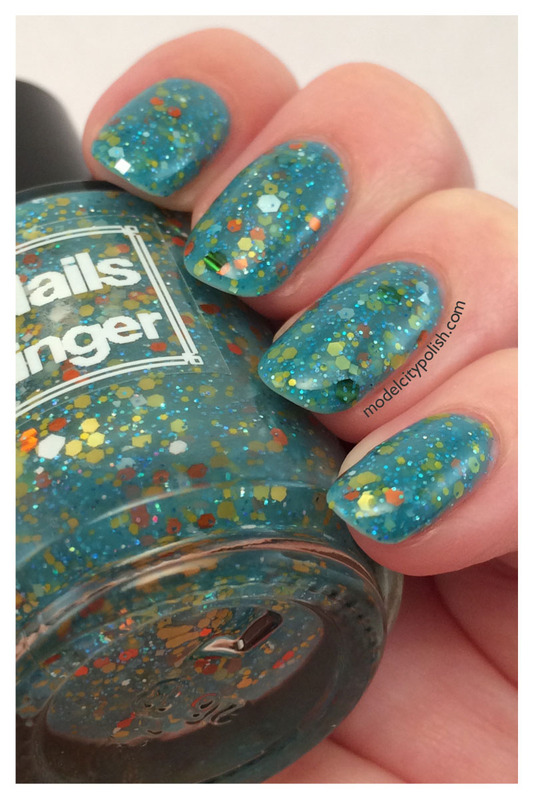 Be sure to check out this and many other gorgeous blends by Digital Nails and please give them a follow of Facebook for up to date info and releases. Thank you so much for stopping by today and I look forward to seeing you all tomorrow. This looks absolutely fantastic on you! I would recommend nearly anything from her. 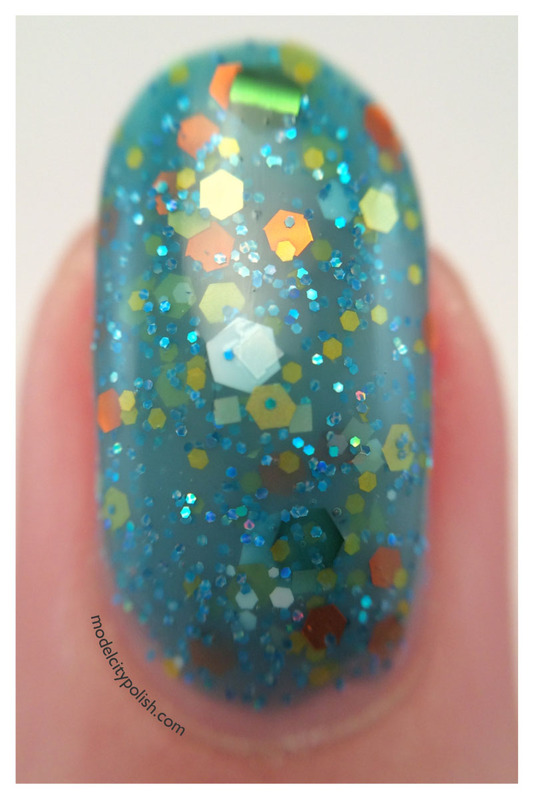 Every DN polish I have is amazing and perfect and gorgeous. I have a few and they are all wonderful. I hope to add more to my collection.